Apple has recently released a Java update which removes the Flashback malware from your infected Macs. 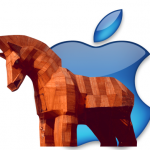 From last many days thousands of Apple devices worldwide were infected with this malicious piece of software. In addition to detecting and removing the malware, Apple also added a many precautions which can able to reduce the chances of problems in future. The default Java-webplugin no longer will automatically execute Java-applets. This will reduces the chances that users are installing software without their knowledge. 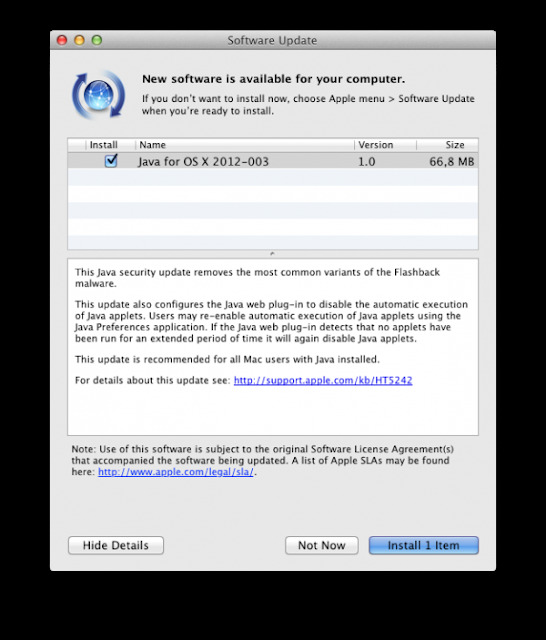 The update is recommended for all Mac user and can be downloaded via "System Update" in the Apple menu. For more details regarding this tool can be found on the Apple official site.